Cheaper by the Gallon! One gallon is equal to 15 of our 8.4 fl. oz. bottles. Buy in bulk and save! 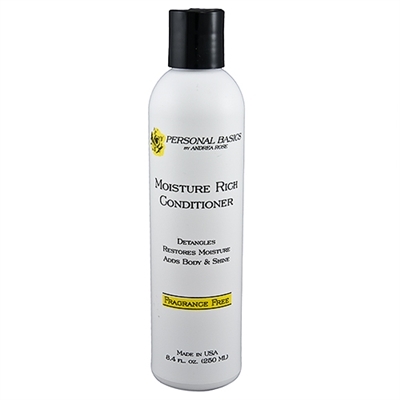 Restoring the hair's moisture balance is necessary to help your hair look and feel its best. Detangles, restores moisture, and adds body and shine to hair. Adds body to dry or color treated hair without buildup. De-Ionized Water, Behentrimonium Chloride, Dimethicone, Propylene Glycol, Stearalkonium Chloride, Cetyl Alcohol, Stearyl Alcohol, Stearamidopropyl Dimethylamine, Tocopheryl Acetate (Vitamin E-Acetate),Glyyceryl Stearate, PEG100 Stearate,Stearalkonium Chloride, Tetrasodium EDTA, Methylisothiazolinone, Methylchloroisothiazolinone. Paraben Free!